Look for us next to Mayberry's Restaurant at 36 West Main Street starting March 4th. Welcome to the online home of Highland Books. You can read about the latest bestsellers here, see what our staff is reading, order books to be picked up at the store, learn about upcoming events and more... We are here to help you on your journey through the world of books. Read more about New Main St. Digs! 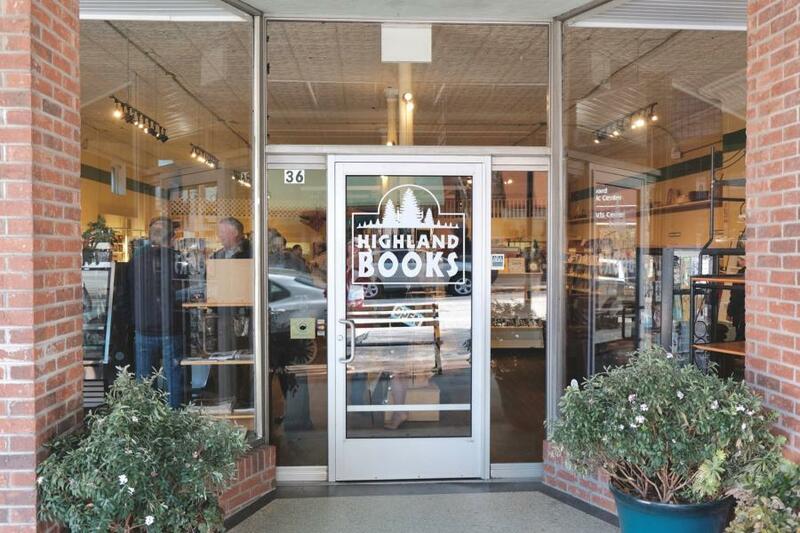 Highland Books has been providing a homegrown bookstore experience in Transylvania County and surrounding areas since 1976 from the same location, right across from Brevard College. In the store, you will find new books, classic books, big books, small books, and books we all know and love. Along with the books we carry magazines, Fair Trade gift items, and have the best selection of cards in town. Chris and Amanda Mosser bought the store in 2015 and have certainly found their calling in bookstore ownership. Highland Books is a member of the American Booksellers Association, Southern Independent Booksellers Alliance, and the Chamber of Commerce.